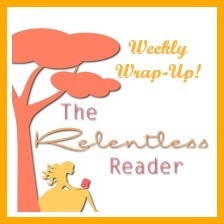 March Wrap-Up <~~I read a few books in March. I've started using PaperBackSwap. I signed up forever ago but Shannon from River City Reading inspired me to actually use the service. My Goodreads goal for the year was 125 books. I've just upped it to 150. I might increase my goal again at some point if I keep tearing through the books the way I have been. I hope you'll come hang out with me on Twitter and Facebook. It'll be fun, I promise! I hope you reach your goal! Good luck :) Thanks for stopping by! It looks like you already made a very good start this year, so 150 books should be do-able! It has been the best! I'm just going with the flow and it's really working for me :) Thanks! I have We Need New Names for review in May so I am glad to see you enjoyed it so much! 150 sounds alright at the rate you're going! Definitely keep your previous goals in mind, though, it'd show just how much progress you've made over the months. Thanks Charlie :) This is the first year I've kept track of my reading. I always knew that I read a lot but I honestly had no idea just HOW much, lol. 150 books! That's crazy! Mine is but half that and lets just say I'm not exactly on track currently. Upping your count does seem like a good move considering the amount of books you're racing through, I'm sure you'll even surpass 150. Haha! 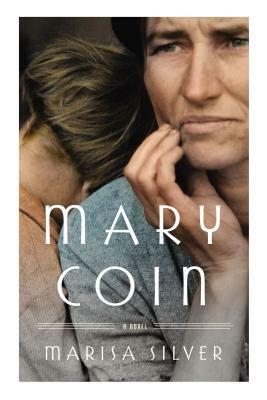 Mary Coin looks great - I hope you're loving it! I am, I am! :D It's different than I expected but not in a bad way. Wow, you had a great week! Keep it up like this, and you'll hit 150 easily. Mary Coin sounds absolutely amazing! I hadn't heard of this one but it is getting added to my MUST read list. Thanks for sharing and have a great week! I'm nearing the end of Mary Coin and I'm thoroughly enjoying it :) Thanks Rebecca, right back at ya! You've read 63 books so far this year?! That's amazing. I see you're enjoying the Mary Coin book so I'll probably put it on my tbr list. Enjoy your week. The Gods of Heavenly Punishment looks like a good one to read on a whim. It caught my eye! Beautiful cover right?? I have high hopes for that book, I've heard quite a few good things already :) Thanks for visiting! I like your Goodreads goal, Jennifer. I didn't set myself a target per se, but I am really really hoping I can reach 1000 reviews on my blog by the end of the year - I'm currently at 905. That's 95 books to read this year! Not sure that my chances are great, with the way I've slowed down. The Gods of Heavenly Punishment certainly looks - and sounds - appealing. Looking forward to hearing what you think. Have a great week! I listed 10 books and zoom! Before I knew it 8 of them were requested, lol. It's a good way to cull the shelves, that's for sure. Now, if I could only find a good use for the ARCs that are piling up around here. I send some out to other bloggers if they express an interest but they are accumulating faster than I can give them away! Wow! Great list as usual :) I don't that I would have picked up The World's Strangest Librarian on my own, but you gave it such a great review that I'm going to put it on my TBR list. 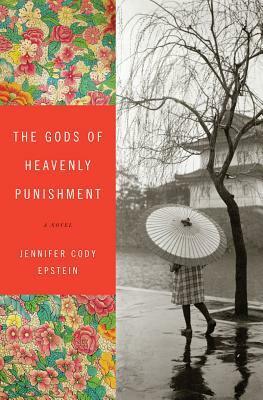 Also I think The Gods of Heavenly Punishment sounds like a great read! You always read such interesting books, and make my TBR list longer...and longer...and longer. I added World's Strongest Librarian, sounds like an inspiration. I love Paperbackswap! It is mostly how I've built my classroom library. I've used it so much that when my book packages' online postage falls shy, my mail lady will pay it and leave me a note for reimbursement! I am thinking of upping my Goodreads as well. I just fell short last year because I finished the year with Les Mis. However, I'm almost at 50% for this year and am planning on having a great summer in books! 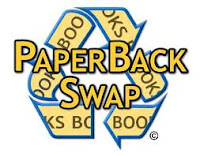 I need to start finding books that I want to order on Paperbackswap instead of just sending them out, lol. Then again, the last thing I need is more books ;) But I do want to use those credits! Les Mis is a chunkster! I'm planning on reading that this year. Reading all the books on our shelves is a big project ;) Thanks for visiting Lori, same to you! Thanks Naida ;) It's been a fantastic year so far! I want to read The World's Strangest Librarian, it sounds really good! I hope you find time for it Vicki, it's a great read! Have an awesome week, Jennifer. I hope you enjoy all of your spur of the moment reads! I finished it up this afternoon (Mary Coin) It was quite enjoyable! Woohoo for reading on a whim! Feel free to abandon books that don't grab you. I'm really far ahead on my Goodreads goal of 144 books, so may increase it later in the year. No kidding, right? That is a fantastic title! I've already heard a lot of good buzz about that book and I'm really looking forward to reading it! 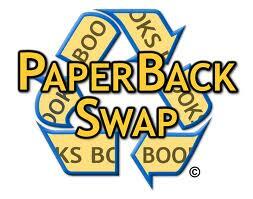 I really need to get cracking on Paperback Swap - I have an account but have yet to list any books on it! I'm such a slacker.